Playing a personalized brand of roots rock music, including elements of Rockabilly, Blues, Hillbilly, Psychobilly, Surf, and good old traditional Rock and Roll, Atomic Boogie has gained a loyal following of fans known affectionately as Boogie Heads. With a professional attitude and a credo of "God loves you if you dance! ", every show is an unpredictable fun-filled good time – so get ready for the shack to shake and the house to rock! It's Atomic Boogie comin' at ya!!! 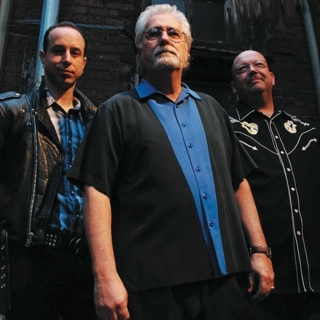 The SideBurners kick off this night of rockin', swingin' 'billy at 8pm!